The time of year when Girl Scout cookies come out is looked forward to by so many people each year. In case you missed it, then this recipe is for you! (If you haven't missed it then you should totally support them and buy some cookies :) ). Then you can make these at any time of year for a little bit of that delicious mint and chocolate flavor. I was a Girl Scout growing up for a few years then I worked for them for a few years as a career. Even I looked forward to cookie time, even though the chocolate covered toffee almonds are pretty rockin too. I should try to copycat those! 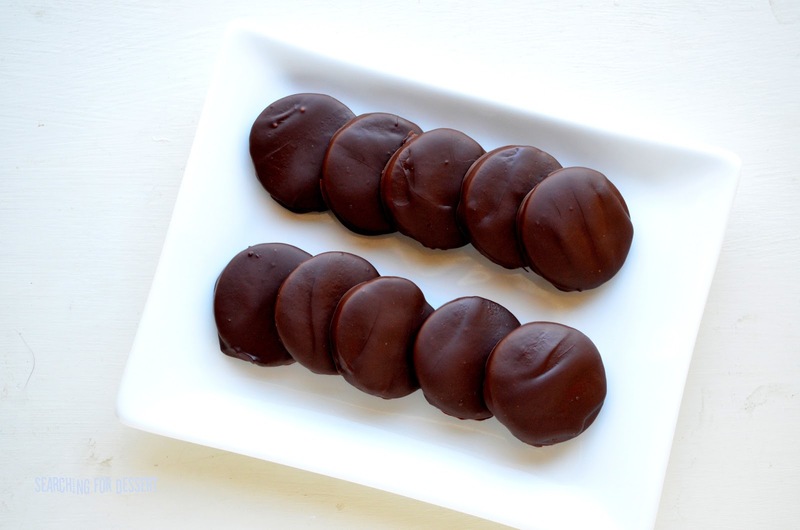 My personal favorite is the Tagalong which you can find a copycat recipe for here. 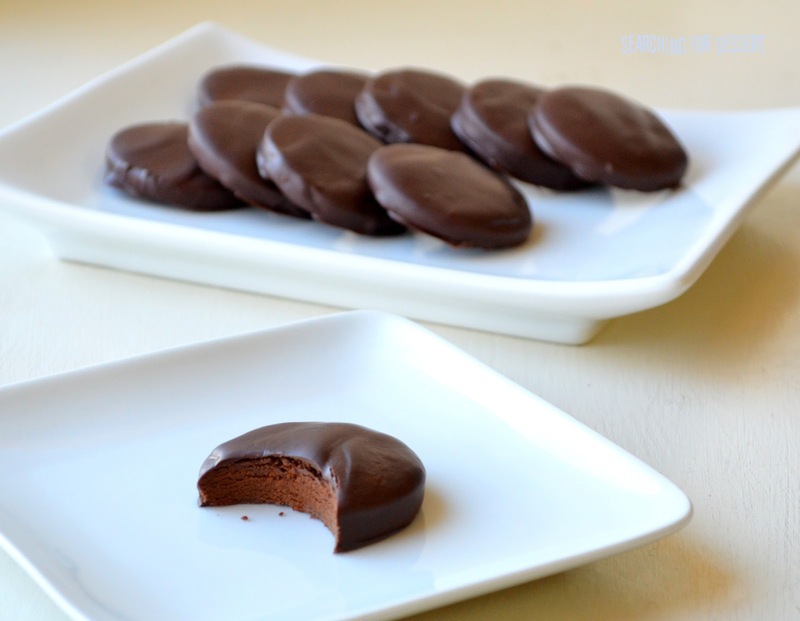 My husband is a huge Thin Mint fan though and so I made these for him. I will say they are really good when they are kept in the refrigerator and eaten cold. He also said that the texture was even closer the next day because it wasn't as soft. You could probably roll them even thinner but then you would just need to watch them closer in the oven because they wouldn't bake as long. Happy Baking! 1. Preheat the oven 350F. Cream the butter and powdered sugar for 1-2 minutes. 2. Add the vanilla, cocoa powder, and salt, then mix until completely blended and thick. 3. Add the flour and mix until just blended, then shape the dough into a ball and flatten to about ½” thick, wrap in plastic wrap. Place the dough in the refrigerator for about 20 minutes. 4. Cut the dough in half and roll out each half to ⅛” thick (I rolled it between plastic wrap to prevent sticking to the rolling pin or the board). 5. Cut out the cookies using a 1 ¾” round cookie cutter, then place on a cookie sheet that has been lined with parchment paper or a Silpat. 6. Bake the cookies for 10 minutes, then cool completely. 7. When ready to dip the cookies, melt the chocolate and shortening in a double boiler over low heat until the chocolate is completely melted, stir in the mint extract. (I used a glass bowl over a saucepan of simmering water). 8. Dip the cookies individually in the chocolate, letting the excess chocolate drip off, then place them on clean parchment paper or a clean Silpat. Refrigerate the dipped cookies until the chocolate is set. (I left the cookies in the refrigerator because I really liked them cold).